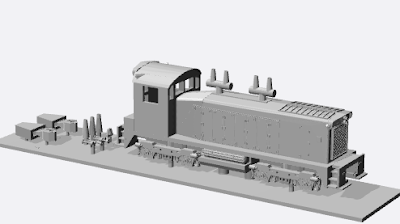 SO now, as the GG1 takes shape (literally) there are a host of accessories and additional scenery items needed if the big electric motor's going to reside in a prototypical world on a layout or diorama. 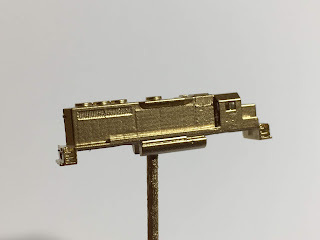 First of all, the prominent pantographs are needed... Altough Eishindo makes some respectable tiny panto's, they are just too small for the GG1 motor. I've designed some pantographs that are a one-piece etching to be folded into the diamond shape. The upper portions of the G' had to be modified as well to accept the pantographs. 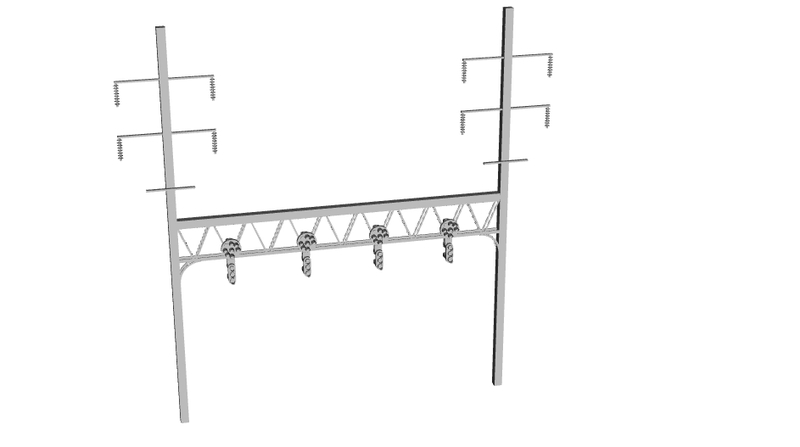 In addition there is catenary, and signalling.. The trolley wire is one thing..not sure I'm going to even try the wires.. but the poles and supports are needed. They'd need to be somewhat sturdy, and I don't think Shapeways' FXD plastic is up to the job on that. There would certainly be warping as well with long, thin parts. Styrene or brass would be better; I found some 1mm square styrene rod online, and that will serve as the poles. The crossarms will be etched parts with insulators included. Insulators will get a healthy coating of paint to give them depth. 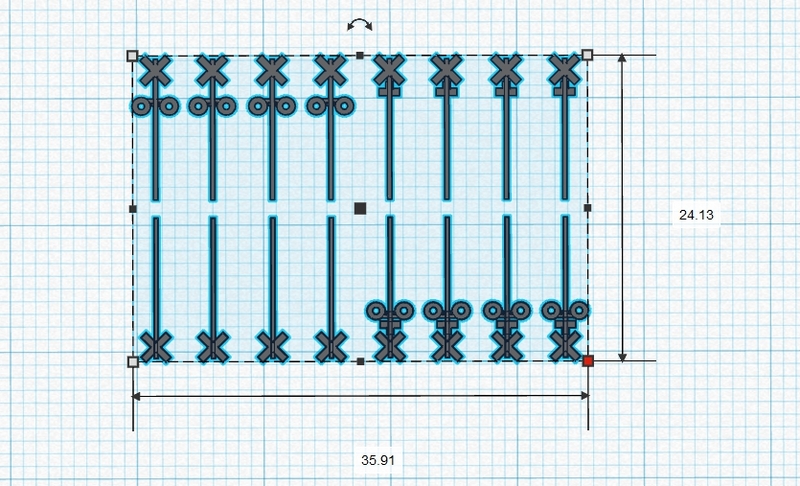 There are also PRR signal gantries; These will also use the 1mm rod for the main cross braces, but they will be sandwiched by etched lattices with tabs for mounting PRR CPL signal heads. These will be 3D printed in the variety of styles needed. Here's a rendering of the under-wire signal mast. 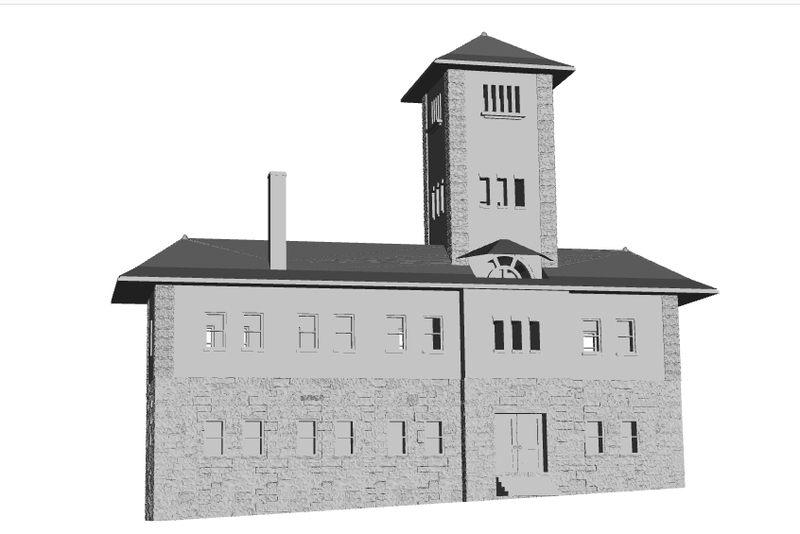 So several projects are converging, and some interesting modeling is ahead! Here's a quick summary of recent developments and projects. 1. Handrails for the GP40, GP38 (new), and SW9/SW1200 in etched stainless steel. 2. Crossbucks, with and without warning flashers, gate arm, and with a cantilevered flasher in etched stainless. 7. Modified GP40 so it can be built with or without dynamic brakes. 10. Custom run of Netzlof design decals for a variety of roads is being done. 11. AAR type "B" trucks completed, now working on a U25B shell. Challenges and/or Jousting at Old Stations; PRR Torrence Road Station in 1:450 scale. I live in Cincinnati, Ohio and belong to a local Facebook group for railroad enthusiasts. We share comments and photos of local interest. 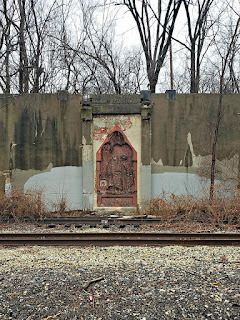 Recently a fellow posted some photos of the remnants of an old Pennsylvania Railroad station in the area--basically bits of the foundation and some concrete. 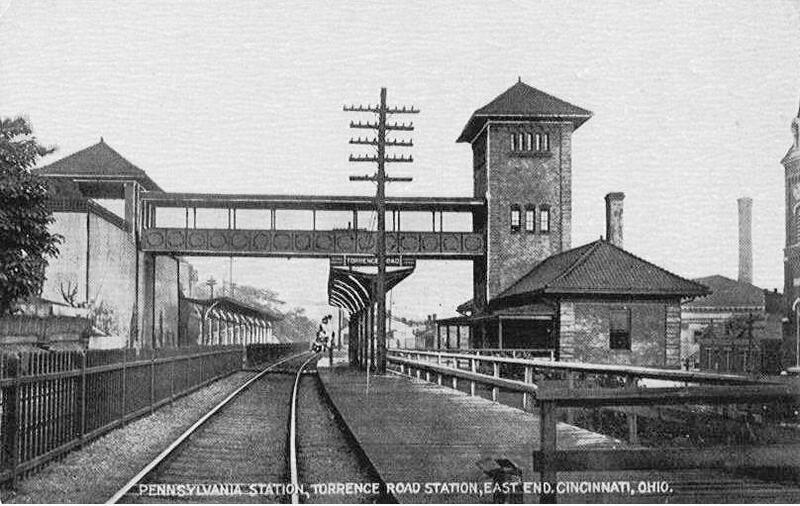 This was the Torrence Road Station, built in 1907 and closed in 1933. The main structure has been gone for years and the site was (until recently) heavily overgrown with brush. 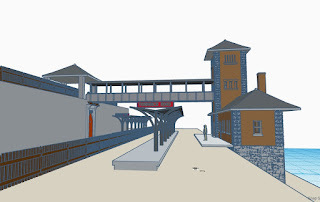 In the discussion I mentioned, "Wouldn't it be cool to do an augmented reality of the old station".. 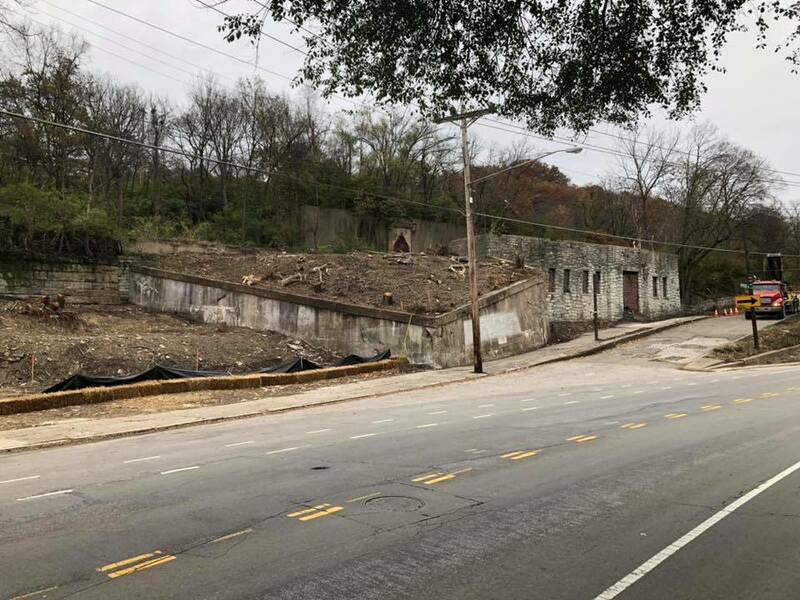 This way, you could experience what it used to be like. This got me thinking .. step one is to build the 3D model.. and being the (somewhat) OCD person I am, I ventured "there goes the next 3 days..." Sure enough I started into a project to build the station--although it actually took 4 days. I started with the foundation and built it up "from scratch" using some estimates (like door height) and eyeballing proportions. Next the main station building, and the tower were constructed. 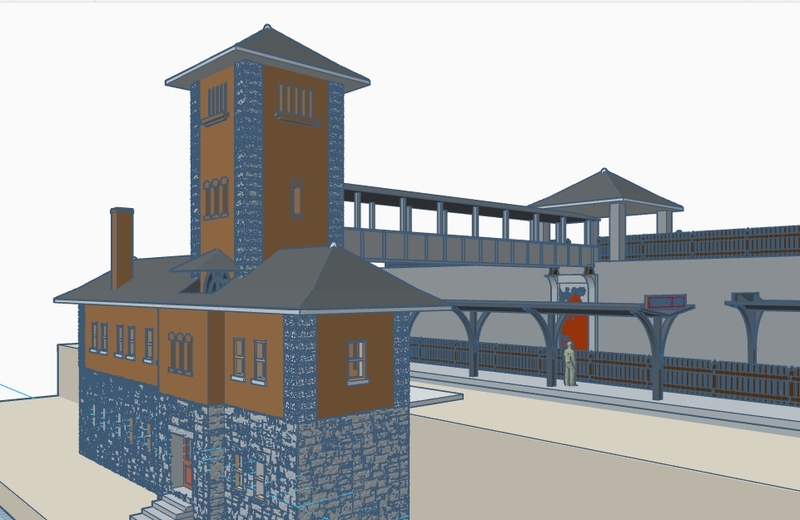 I had to do a little guesswork on window and door placement on the trackside walls since no good photos exist. 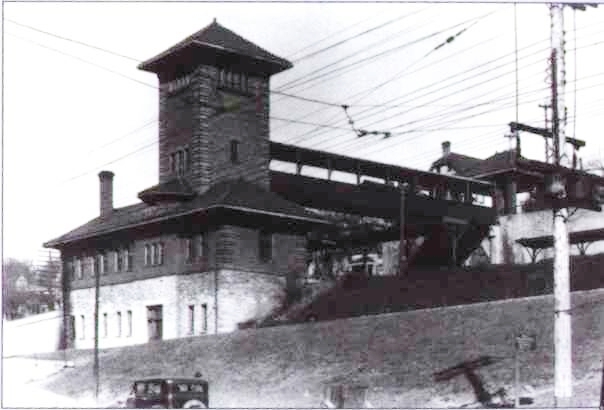 The tower housed an elevator for taking baggage and passengers up or down to cross the tracks. 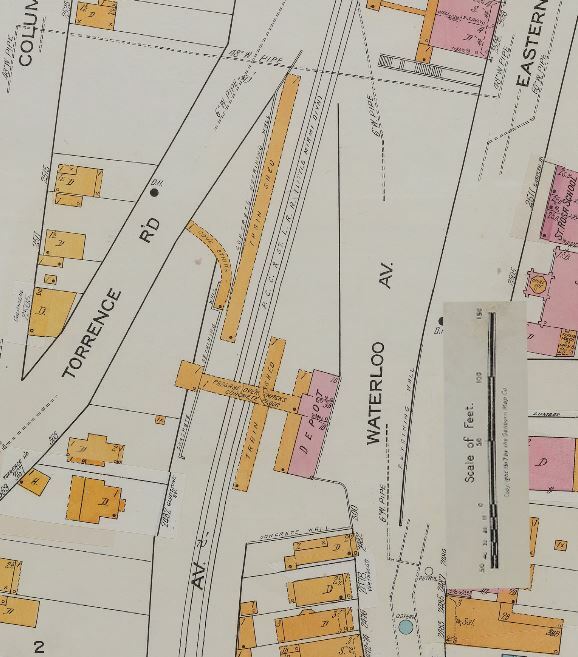 Speaking of crossing the tracks, President William Howard Taft lived a few blocks west of the station and surely travel through the station from time to time. 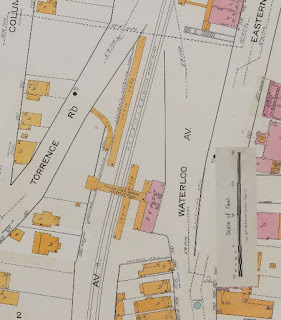 In fact, this is probably one reason such an ornate station was constructed at this site (his presidency was 1909-1913), and why is disappeared not long after Taft passed away. An artist named Karl bitters was commissioned to do 10 terracotta sculptures depicting the 10 largest cities the Pennsylvania RR served, to be placed at the PRR Broad St.Station in Philadephia. When it was destroyed by fire in 1923, they gave each sculpture to the applicable city, so this came to live in Cincinnati. 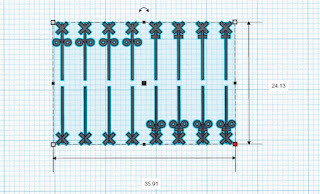 It seems a print on Shapeways would cost about $75 not counting "test prints" and it would probably have to be split into modules; In addition, I would do certain details in PE like the fence, signs, etc.. But, since I don't model 1930 Pennsy I really don't have a use for any it. So the whole project was for.. the challenge, and the fun of it! So, if you're interested in a model please let me know because it could be made, and it could be re-scaled easily enough to Z or N as well. 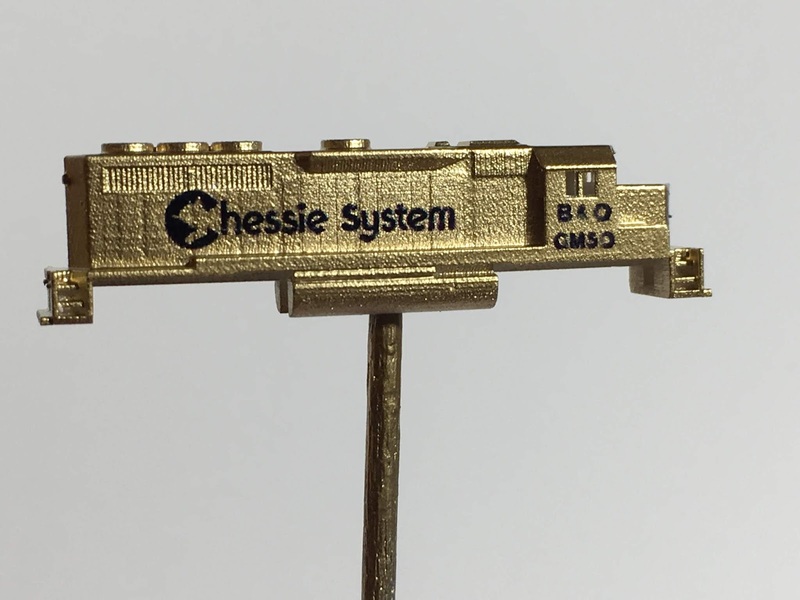 I have continuously striven to improve my models which typically means adding finer and more details to my 3D printed designs offered on Shapeways (CCE Models). 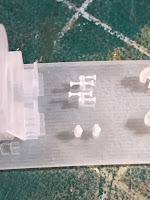 HOWEVER.... Shapeways is not consistent in what it will print and sometimes even the quality of printing-- although my experience has usually been positive. I have yet to see a home-based printer that offers this quality and convenience. 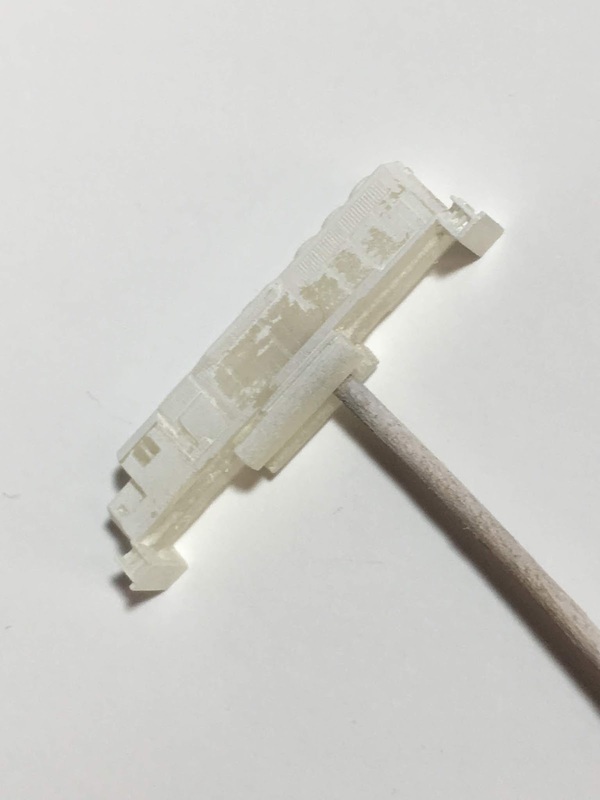 Not long ago Shapeways started offering a service called "Print It Anyway" for designers who push the limits of the technology--basically shifting the risk of trying to print something very small or fine (such as 1:450 scale air horns) onto the designer. This service is NOT offered to the general public, however. The end result being that I, as a designer, can order models that the general public cannot. I recently had a customer order the SW1200 model kit only to be rejected by Shapeways. I have printed this model at least three times previously and have constructed the model successfully. I expressed my frustration to Shapeways however they are stuck in their procedures. My solution is to make the models myself and ship them directly to customers. So if you want any of my models on Shapeways, just drop me an email and let me know (ccetrains@gmail.com) what you want. I will quote you and upon approval will order them myself and re-ship to you. I will accept payment via PayPal. As an added service, I will also clean and primer the models, and even do custom assembly and decoration if you so desire. I wanted to explain and illustrate my process for creating a model from a Shapeways 3D printed kit, along with some tips and hints for the new (or experienced) T-scale modeler. Given that there are extremely limited options for modelers in T-scale to find accurate scale model trains and accessories--especially of North American/US/Canadian prototypes--I have embraced 3D printing as a means of producing my models. 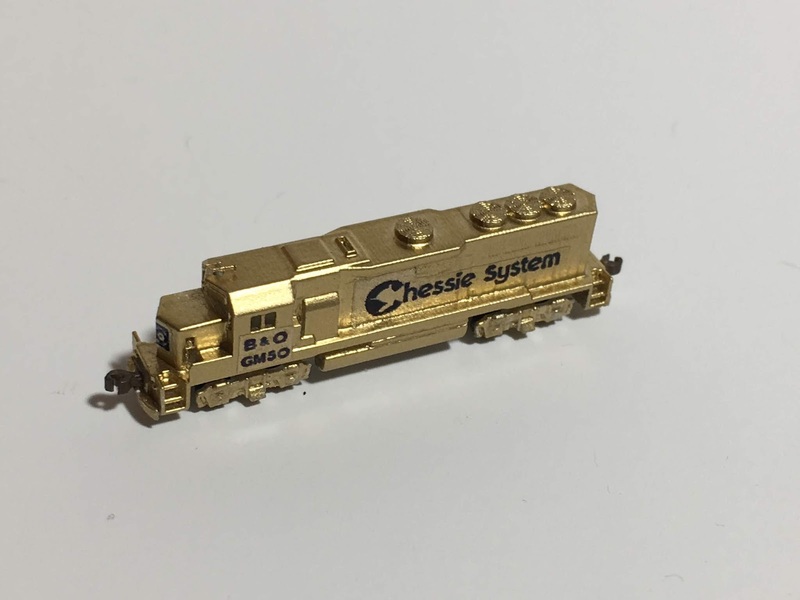 As many of you know, I create and sell various T-scale items in my "CCE Models" store hosted by 3D printing service bureau Shapeways. 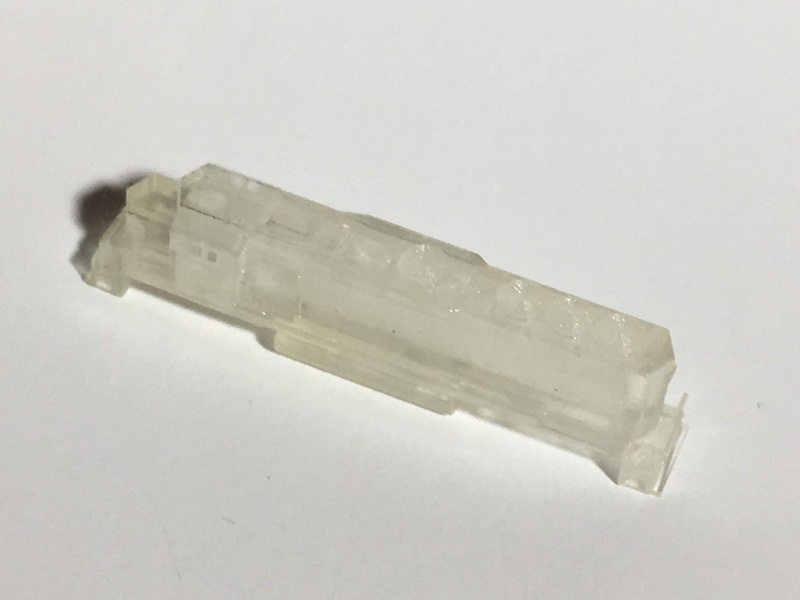 Shapeways is a leader in this area and their Finest Detail Plastic material is simply the highest resolution 3D printed material available on the mass-market right now. I have been extremely impressed with their quality, service, and pricing. 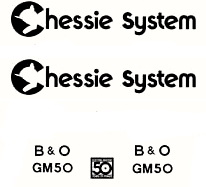 My favorite railroad is the former B&O lines of the Chessie System Railroad of the 1980's. GP40 and GP40-2 locomotives were common on the Chessie System, and so I designed a T-scale model. It has since been improved upon several times and I sell it now as a "kit" including a choice of trucks (Blomberg B or Blomberg M), dynamic brake, horns, bells, CCE knuckle couplers, and a Chessie "signature" accessory--the rock plow pilot. 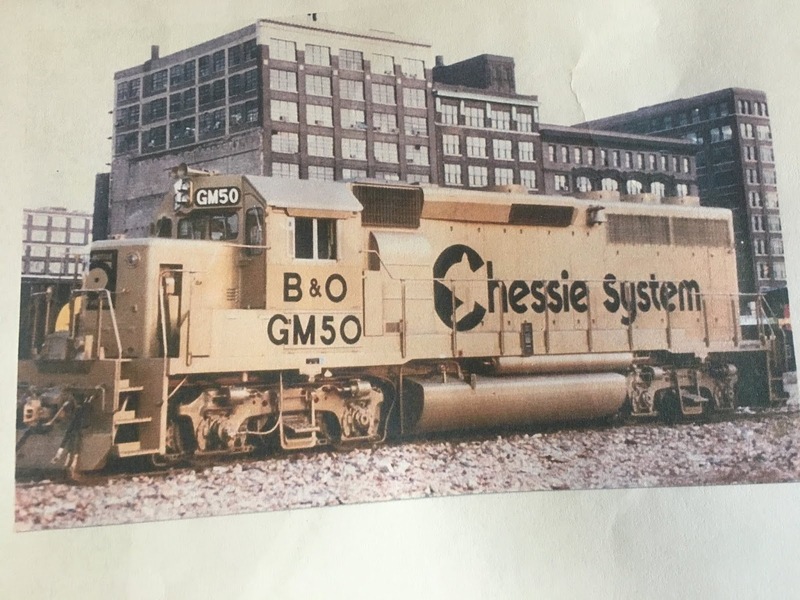 The locomotive can be built as a GP40 or a GP40-2. The main body and components are attached to a flat base by a series of sprues. When you get the kit from Shapeways it will be in a small poly bag, typically enclosed in bubble wrap in a large outer box. The preparation of the model begins with a wash to remove the oily/waxy gunk left over from the printing process. 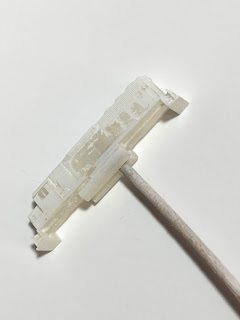 I go into detail of my washing process in a Blog post and it's also in the "Information" section of the Shapeways shop. I separate the main shell from the base by careful cutting with a hobby knife and prep it for painting. Here's the "raw" shell-- it's a translucent acrylic material. I drill a small (between 0.5 -1mm) hole or two in the underside of the model at this point for a couple reasons: First, it provides a point to secure a toothpick which is used as a handle for the shell during the finishing process. 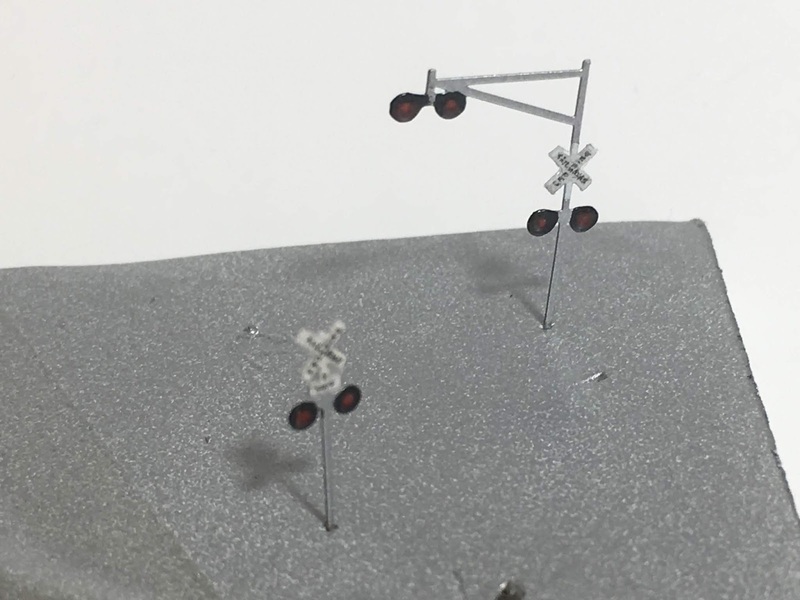 Second, the holes serve as a mounting point for the small (3/16") neodymium magnets I use to create a positive downward "pull" by the model to the tracks. If you are going to run these models--even as unpowered dummies as this model is-- they are so light they require added weight to stay on the track. The magnets provide artificial "weight" to the model. Next we are on to main assembly, detailing, finish painting and decaling of the main shell. But of course--I always do research on the prototype before this. In fact, research is one of my favorite activities. In this case I am modeling Chessie/B&O GP40-2 "GM50" which was a unique paint scheme to honor the 50th Anniversary of GM's ElectroMotive Division, the locomotive manufacturing arm of General Motors. The internet has tons of reference material, just type in your subject in any search engine and you will likely get a ton of hits. I found this picture as it shows a lot of details, the color scheme, and placement of lettering. Notice this unit has dynamic brakes--evidenced by the bulge above the "Chessie" and extra roof fan. The kit has the option to build the GP40-2 with dynamic brake or without. You will want to add these on now if you didn't before, as well as any other major components such as the rock plow (although on this build I forgot until later). I use regular ACC to attach such items. On to the subject of lettering and decals: There just are not many choices for decals in T-scale. 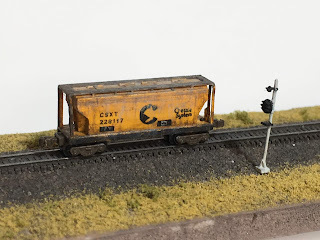 At my request, CMR Products has been great about reducing their line of decals by Netzlof Design to 1:450. You can order them upon request (and you can even select 1:450 on the website now). 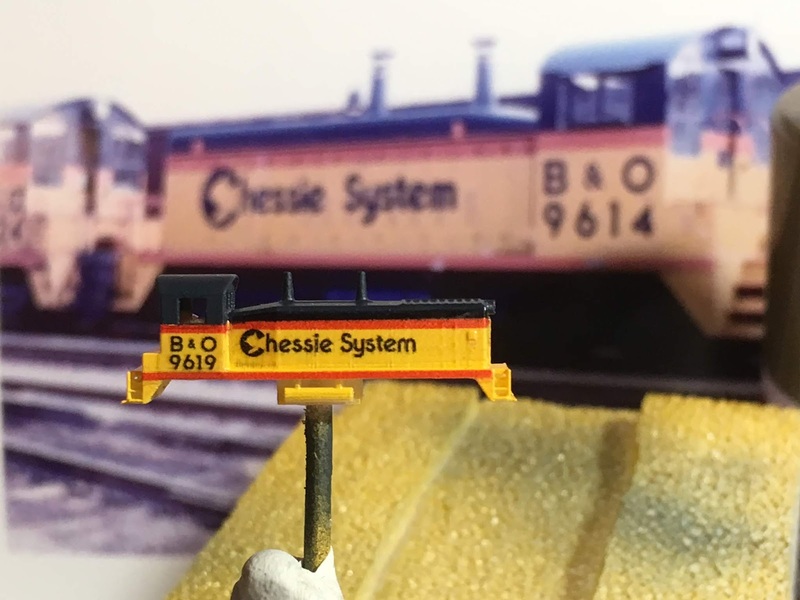 Even better, they are also working with me now to custom design some other new decals for Chessie and Conrail and N&W in 1:450 scale. 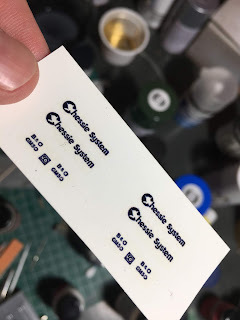 It takes some tweaking to get the size and printout quality correct--I print drafts on a sheet of plain white paper until I get the correct size, then do a "run" of 5-6 sets on the decal film paper (usually a single line across). I trim off the strip of decals then save the rest of the paper for another project. I find there will be at least a few smudges or bad printing on each set--about a 75% ratio, so I always print extra sets. Of great importance, after printing, the decals must be sealed before using--I use Krylon Crystal Clear acrylic coating (#1303). Here's what they look like when printed and sealed. Once the finish coat is on you can apply the decals and it will start to look like it should! 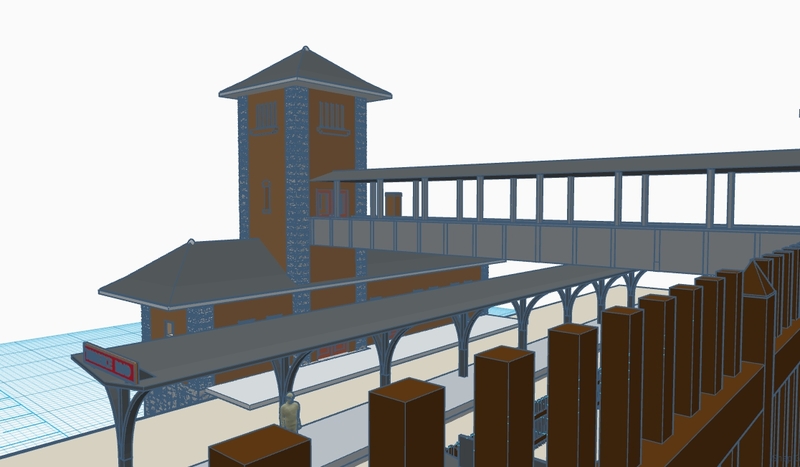 It's coming together, but we still need to add couplers, trucks, and finishing details. Since I forgot to add the Rock Plow pilot earlier, I trimmed off the footboards and added them now to the front and rear pilots. Add the couplers. CCE #3 couplers will pivot freely about 45 degrees left and right, but must be gently snapped free from a tiny pin inside the draft gear. I did a short YouTube video showing how to do this. Once working, slide the draft ear into the slot in the pilot. They should fit snugly with just a press-fit. I usually secure with a tiny bit of Future or MicroScale Krystal Klear. This is because it's water soluble and if I ever need to remove the coupler it can be loosened and removed. ACC wouldn't work because it would be stuck-tight! Underneath the model, there are pilot holes for the trucks. Drill these out with a .75-.80 mm bit--the trucks are designed to be secured with a 1mm screw. I get my screws on Amazon and are sold in bulk for eyeglasses etc for a few dollars. You can add the TGauge.com pin-point wheelsets before or after mounting the trucks. I used the Blomberg "B" style trucks to suit the prototype. I add the neodymium magnets at this point, and secure with a bit of Krystal Klear. I have many uses for this water-soluble clear goop! I hold them in place with a bit of tape until it dries. Paint the trucks and couplers--gold for the trucks and I use Roof Brown for the couplers. The final step is to add the miniscule horn. I pre-painted it on the sprue and added it to a small hole in the cab roof. I put to in the kit for a reason--I destroyed the first one. As a finishing touch, I use Krytal Klear for small windows like the door and windshield, and use decal film for the cab side windows. You can apply weathering at this point although this unit was special so please keep it light! Happy New Year to my T-Scale Friends! 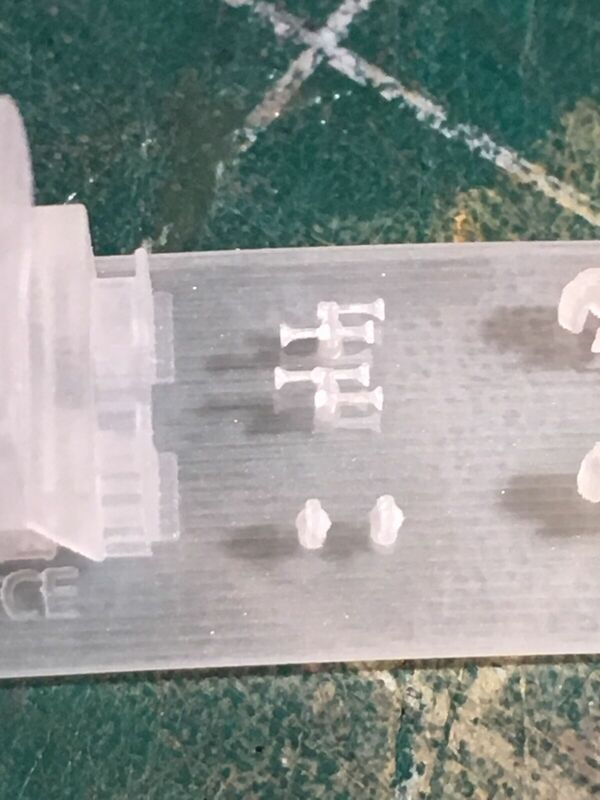 I wanted to start off with a helpful "how to do it" post; Over the years (since 2012) I have developed and refined a finishing technique for what was once Shapeways "FUD" (Frosted Ultra Detail) or currently "Smoothest Fine Detail Plastic" material. It's not an absolute--you may tweak as per your own preferences of course--but I find it works well. 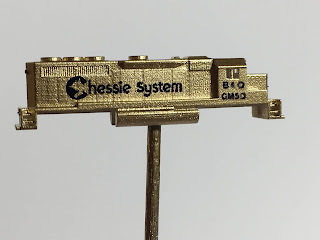 First, I use a solvent to clean it; I use Vallejo Airbrush Thinner because it's readily available and I use for my airbrush, and it's not very noxious; NOTE: Some modelers use Bestine and soak the model; You might also try other acrylic or wax solvents. After this, wash gently with a #6 brush or equivalent in warm soapy water, rinse, and allow to dry completely. Inspect and repeat if necessary to remove any remaining waxy gunk. Finally I use a stiffer brush to gently whisk the surface after this is done. Be wary around any thin parts. NOTE. It's not absolutely necessary to do the solvent step, just warm water usually works fine and I did that for years. The solvent cleans it just a little bit better. Sand any rough areas or printing striations lightly with fine sandpaper or sanding sticks. Wash/rinse, let dry. Prime with spray primer of your choice. I use Tamiya Fine Surface Primer rattle can. Sand lightly again *if needed* and touch up. Primed, and a little extra sanding done. Apply finish coat(s); I have successfully used both acrylic brush-on, and rattle can spray-can lacquer. That looks better! I actually put a liiiiitle bit too much clear sealer on this one but it's ok.
Decal and weather as needed/desired. NOTE: Always allow coats to dry thoroughly before adding more, especially if different base (ie. lacquer vs acrylic). TIP: Window glass can be represented with MicroScale Krystal Klear or using clear decal film. I have used both successfully. TIP: I drill a 1mm hole in the base of solid models, or put a small piece of foam in hollow ones, then insert a toothpick into the model as a temporary handle. This can then be put into a hole poked in a "stand" or your choice--I often use an old Shapeways box! I wanted to post an update on some projects and developments coming down the line, but first wanted to wish all of my fellow T-scale enthusiasts a Happy and Peaceful Holiday Season! 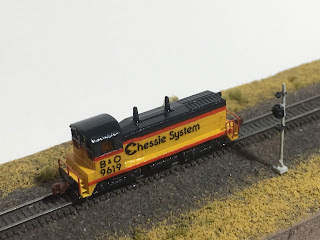 2018 saw a rekindling of my excitement in T-scale and 2019 will certainly be a big one judging from the amazing things coming out of other modelers' workshops. 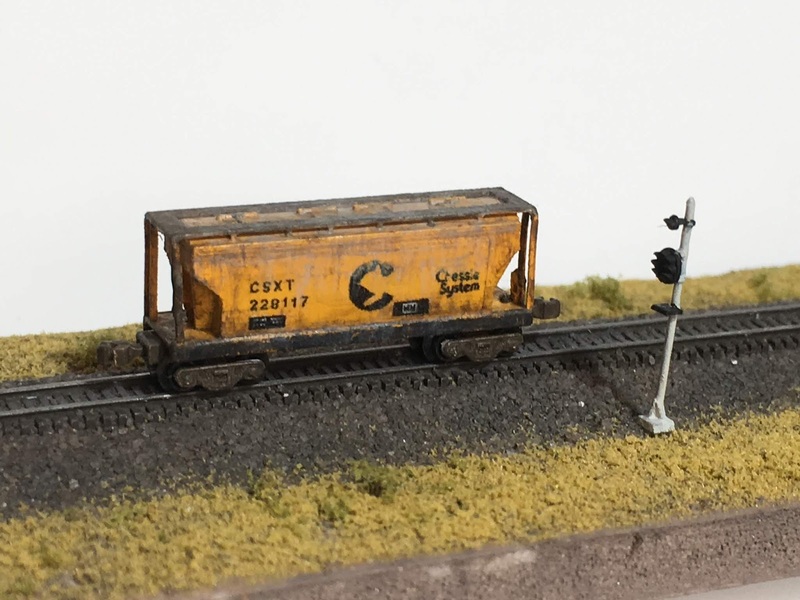 I recently decided to make the EMD SW9/1200 EMD switcher since it's so common, and after successfully making it (and still making improvements) a Canadian modeler said "Boy it sure would be nice to have an SW1200RS.." This is the GMD (Canadian) built and specially modified version of the SW1200. It rides on Flexicoil trucks so those were put together. Well it really didn't take too much to modify it, so I have added that to the product line. Oh and notice--horns and bells (oh my). Boy are they fragile, but they are there-- on mounting pins that can be drilled. 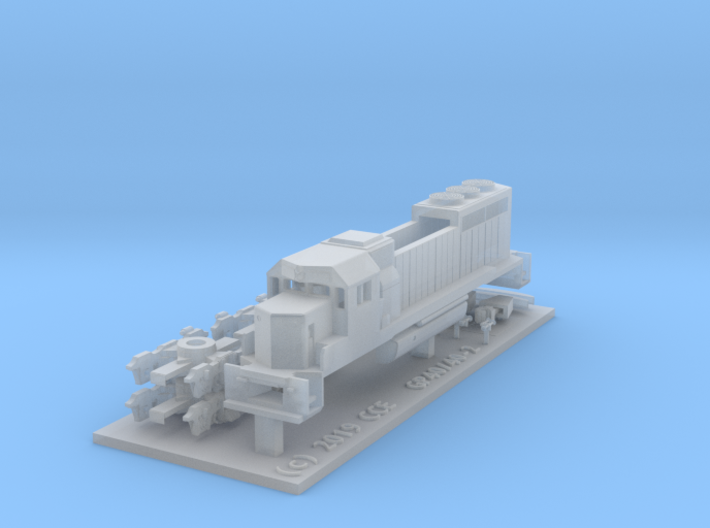 Also included are extra stacks if you want to model the CP version with the standard exhaust stacks. The GP40 model also has horns and bells and in that case the bells are the underframe version). The other motivation was the display of TGauge.com's big steam locomotive. This was a big freight engine that hauled strings of boxcars across the plains of the US. 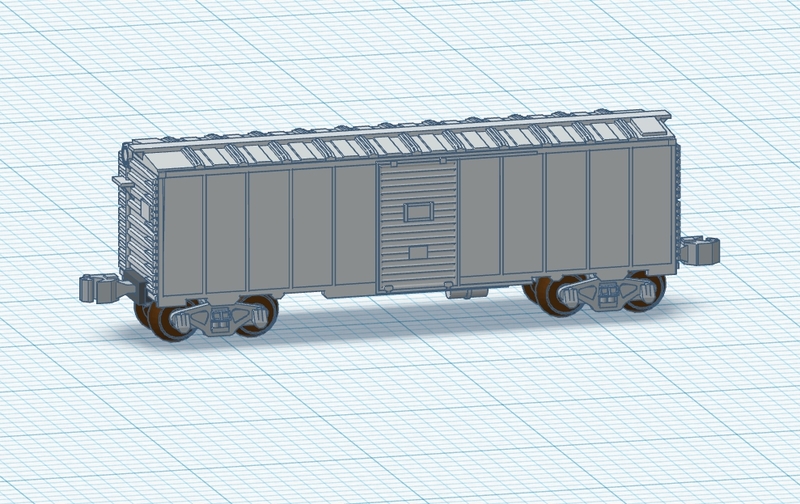 Years ago I developed a 40' boxcar, but it was fairly primitive. So... I updated it, with better detail such a roofwalk and brake gear, and the neat new improvement is that the Bettendorf trucks have "talgo style" CCE #3 couplers built in. 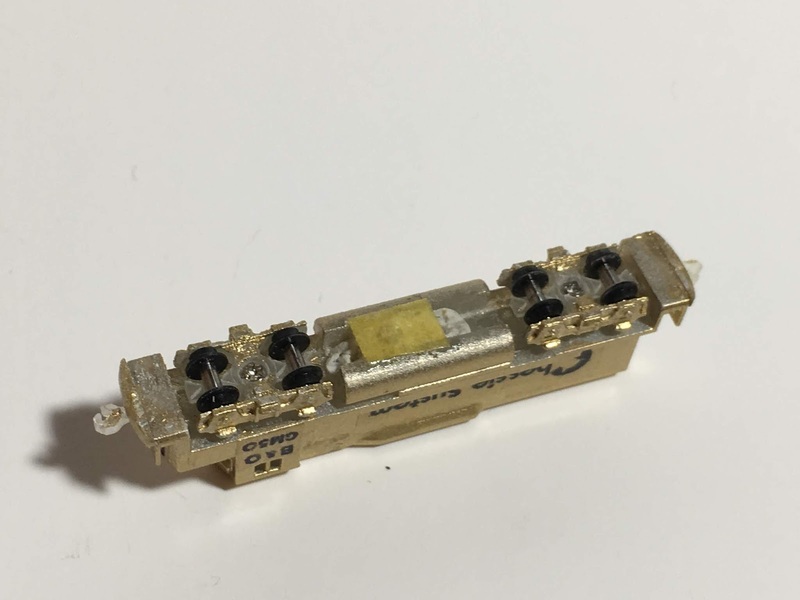 This was motivated by the lack of space for the coupler separately when the improved truck design is used. I needed the talgo/truck mount for other projects as well such as the 3-bay hopper. A replica of the private car "Puget Sound" was recently completed, and it turned out quite nicely. Those windows are clear "glass" made of decal film, but the dome is Krystal Klear. This was originally a Great Northern Ry. 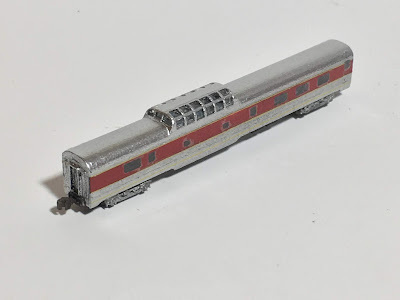 Dome Coach so any GN or Amtrak modelers may want one. I'll be adding it to the product line as soon as I can validate the truck design as it will also need the talgo trucks. In other news-- I'm testing some tiny 1/32-inch thick x 1/16 diameter round magnets from K&J Magnetics, These are made of "N52" grade and are stronger than the regular ones. These guys seem to work pretty well, and it takes 2-4 to hold a car reasonably in place on the track. Necessary for the un-powered models especially. Thanks for reading, and Happy T-Scale Modeling!